There are countless benefits that consumers within the greater London area can gain by turning to Mortice And Green for all of their sash window needs. We repair any sash window in this region, regardless of how extensive the reported damages happen to be. With our help, you can preserve these amazing building features, protect your property investment, beautify your abode, and limit your carbon footprint among many other things. It is vital to understand that sashes can provide lasting value, but only when homeowners are careful to maintain them properly. This means that these systems should be inspected on a routine basis, and regularly painted and stained. Without this care, they will eventually begin to show signs of serious wear and tear. This is especially the case at the property exterior given that exposed wood will invariably succumb to the ravages of the natural elements. Preventative maintenance is actually the best form of repair work that you can invest in. If the paint or stain on your sashes is looking a bit old, you definitely want to contact us. Keep in mind that this is unlike painting any other feature at the property exterior. This is because sashes are comprised of a number of separate, moving components that must work seamlessly together. If over spill is gotten on an one of these, you will have to deal with sticking windows. In fact, if your windows are currently sticking, you should call us now to have them restored to their normal level of functioning and their original aesthetic beauty. 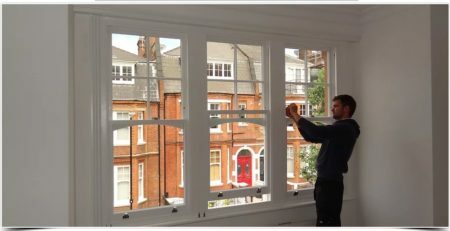 We can add protective and cosmetic coatings to sash wood without compromising the mobility of individual, moving parts. It may be that you’ve recently discovered a broken sash cord in one of your sash windows. Surprisingly, sashes can continue functioning for a short period of time with just a single functional cord. The downside of this fact is that it is incredibly dangerous to use them. You have probably noticed that sashes are quite heavy. In fact, you’d be very hard put to find a heavier window design that’s commonly installed in residential window properties. The single, remaining cord is going to have to bear all of this weight on its own. This means that it is definitely going to wear down a lot quicker. Within a short period of time, this extra friction, pressure and stress is going to cause the remaining cord to snap as well. By waiting to take care of a repair like this one, you will end up having to replace two damaged cords rather than just the one. The most important thing to know, however, is that when the remaining cord does break, the heavy window will come crashing down. This can lead to a damaged frame, broken glass and serious physical injuries should anyone happen to be in the vicinity at the time of this event. More often than not, we will replace all cords so that the entire system is in good condition for a very long time to come. Perhaps the biggest problem with poor maintained windows is wood rot. Wood rot can cause a host of problems with both these windows themselves and the building entire. As such, you want to make sure that the company working on this type of repair is committed to providing the most needs-specific solution. There is no one-size-fits-all remedy for this problem. Each window must be addressed on an individual basis, particularly in instances when the primary goal of homeowners is preserving as much of a home’s original construction as possible. One major benefit of working with us on restoration projects like these is that we have a considerable amount of experience in preserving dated windows, without undermining their overall integrity and durability. We know which materials must be discarded, and which can be restored and retained. We also understand that in certain instances, rebuilding historic windows from start to finish makes the best sense. Best of all, we can complete these projects according to the original window design so that your new sashes will not be distinguishable from the ones that were initially installed in the home. We will talk you through our repair and restoration plans as well, so that you can have a clear understanding of the benefits and drawbacks of each decision. This allows consumers to make informed choices concerning the look and the functionality of their windows, as well as the impact that these will ultimately have on their overall property values. We even make a few, special finishing touches to ensure a truly authentic and historic look. For example, we always take care to save and restore the original hardware when possible. If you are less concerned about authenticity and simply want to take advantage of the latest advancements in these products, we can tell you all about the latest innovations in these window designs. For instance, homeowners can now invest in double glazed sashes that have the same traditional beauty that these windows are known for, even as they provide far higher levels of insulation and efficiency. They can also choose to do away with dated lead weight and cord systems in favor of new cords and springs. We are capable of installing all types and styles of sash windows and will ultimately provide the solution that works best for you. We even offer innovative draught proofing systems for making these products far more efficient and better able to block out noise and air pollution. Keep in mind that we are committed to always taking a hands on approach with all of our work. This means that absolutely no parts of your repair project will ever be outsourced. If we aren’t taking care of this work directly on your property, we will be working on your windows right in our very own workshop. This is how our quality control remains so high and why we are always willing and able to stand behind the sashes that we repair, restore and produce. 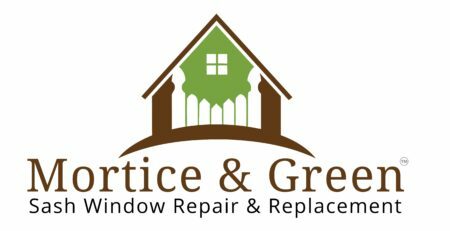 At Mortice And Green, we love what we do and it definitely shows in the results we provide.